There are a maximum of four divers in the water at the same time. 6 dive days + 4 dives accompanied by a trained shark guide. While the regular Sharkweeks have a maximal number of participants of eight, Sharkweeks Pro is drafted for those who would like to take pictures and shoots undisturbedly and without time limits. 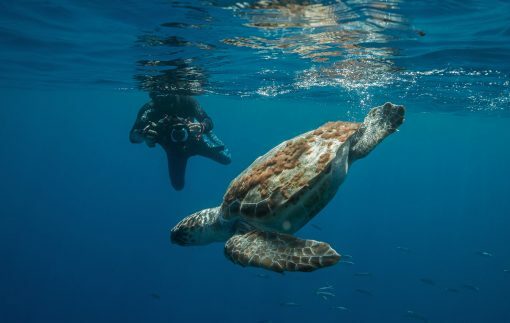 Most photographers and filmmakers are familiar with the frustration of being in the perfect position for that one shot, only to have air bubbles or the fins of another diver ruining your opportunity. Well, not any longer with us! We offer you to dive with sharks in a small group with a maximum of four people because we know that the best shots can be taken only under such conditions. What is the difference to the regular Sharkweeks? Less divers: There are only four people in the water at the same time. More time for diving: We use two tanks per dive. The list of professionals who produced globally with us is quite long. Have a look at the latest 3D underwater film productions or just read the specialised press. We are happy to offer you the list of teams which worked with us on request. 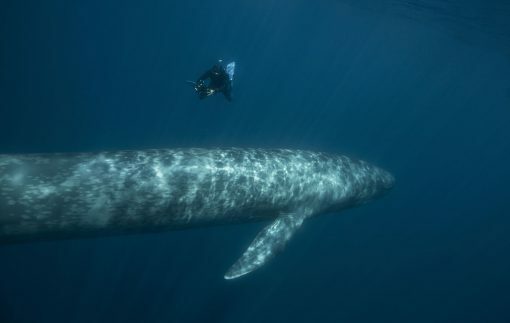 Michelle Cousteau, Joe Bunnie and Gerard Soury are only a few names among others. Lately we supported Carl Finkbeiner with the newest technology in his 3D production for BLUENOTE PRODUCTIONS. The security of the divers has absolute priority. 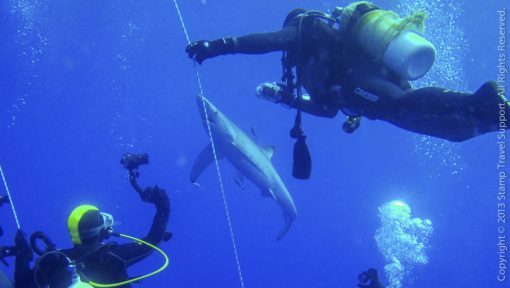 This is why the photographers and filmmakers as well have to follow the guidelines of secure diving with sharks. 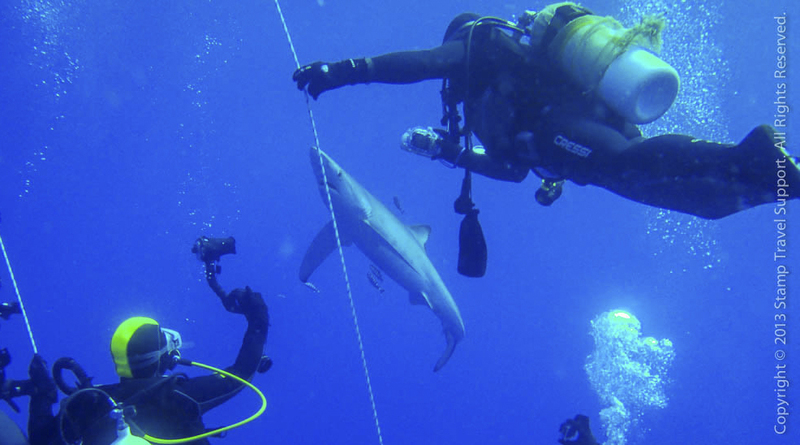 The right equipment and correct behaviour are a precondition for diving with sharks. The shark guides are ”the boss” in the water and must be able to have an overview about the situation at any time. Please contact us for our current dates. Charters are possible at all times. If you are interested in professional productions we will be happy to develop an offer for you. All our programs at the Azores are strongly dependent on weather and sea conditions. Usually the weather during the summer month is very stable, the Middle-Atlantic is even known as a region of calm. However, there can be troughs and storms which are incalculable. In case of cancelled dives due to weather conditions we offer alternative activities which we charge against accordingly. Boat trips or dives which are cancelled until the end of your trip are credited for a new trip or we refund a part of the payed amount.